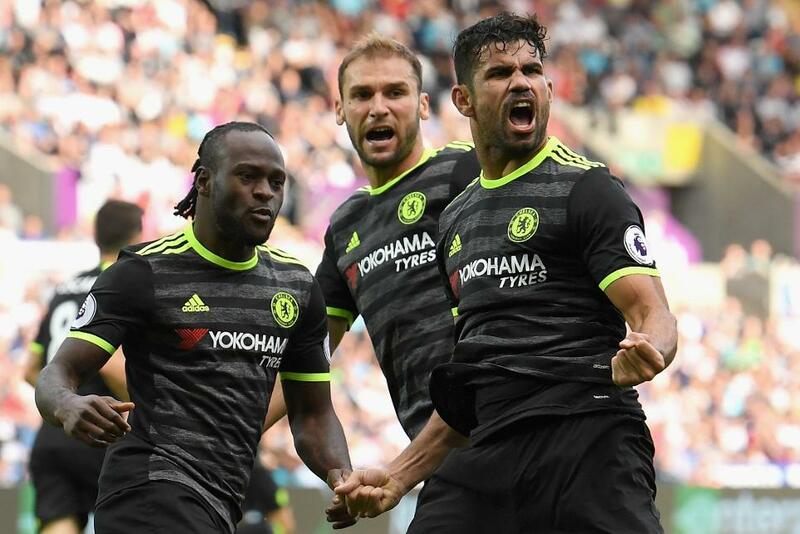 Chelsea head coach Antonio Conte was happy with his side's 'fantastic reaction' as they maintained their unbeaten start to the new season with a thrilling 2-2 draw at Swansea City on Sunday. The Blues took the lead through Diego Costa's 18th-minute opener before two goals in three second-half minutes from Gylfi Sigurdsson and Leroy Fer put the hosts ahead. Costa made sure the points were shared, however, with an overhead kick with nine minutes left. "The players showed they didn't want to lose and tried to win until the end," Conte told chelseafc.com. "I'm pleased with this. "I also want to say if we have the opportunity to kill the game, we must kill it. We must learn this." Swansea City head coach Francesco Guidolin, meanwhile, praised his side's battling qualities as they ended a run of two straight defeats. 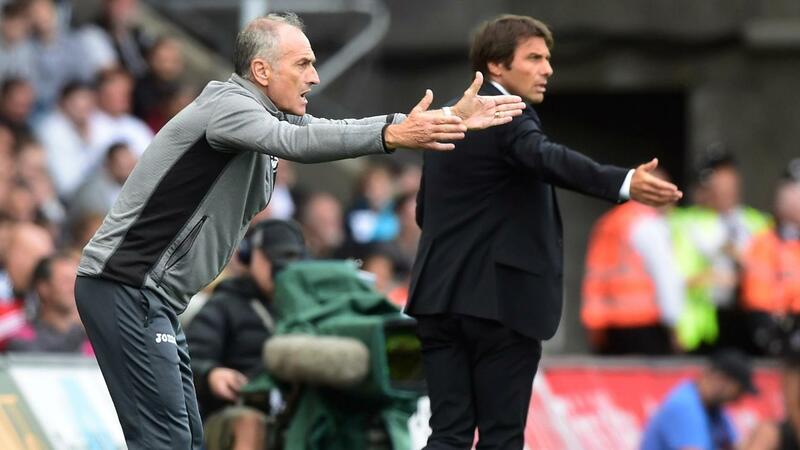 "Chelsea did not deserve to lose but we deserved something because we fought in the second half and played with more intensity," Guidolin told swanseacity.net. "We have to improve, this is sure but this point is important for us."